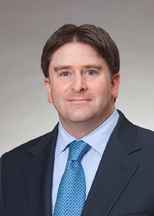 Nate Goldberg has represented banks, investment funds, brokerdealers, and other financial institutions in commercial lending, private investment, trade finance, forfaiting, asset recovery, and trade credit insurance disputes for over 18 years. He also regularly represents clients in a wide range of other business litigation matters including intellectual property, employment, real estate, and contract disputes. Mr. Goldberg also devotes a significant portion of his practice to the representation of start-ups and technology companies. He regularly acts as outside “General Counsel” to these clients advising them on all aspects of their corporate intellectual property, employment, and litigation matters including corporate formation issues, work for hire and assignment agreements, confidentiality and non-compete agreements, licensing and services agreements, and the protection of intellectual property. Mr. Goldberg regularly appears before federal and state courts and arbitration and mediation panels throughout the United States and abroad.